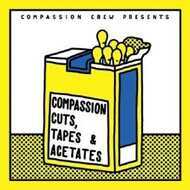 'Compassion Cuts, Tapes & Acetates' - 11 tracks hand-picked by Compassion Crew. Restored and mastered by Thomas P Heckmann. Cut by Andreas at Schnittstelle.